Product code: VA146W Categories: Foot Stools/Steps, Home Living, Other Accessories. 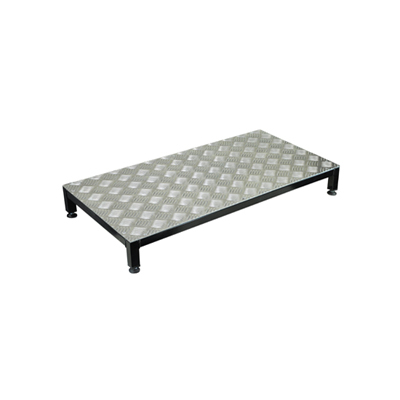 The Lightweight Aluminium Half Step is made in the UK at Aidapt’s manufacturing plant in Wales. Constructed from high quality aluminium, with a coated frame, untreated treadplate and durable nylon feet, the Half Step is both sturdy and lightweight, recommended for outside use. Designed for adults who may have limited dexterity or reduced strength and grip in their hands and arms, the Cup Holder is a dining aid featuring two large handles for better control and to reduce the chance of spillage. Please note that the drinking cup is not supplied.